As your local dentist in Seaside, Dr. Santos makes it his mission to ensure that every patient can enjoy a healthy, great looking smile for a lifetime. While you might think that your oral health only impacts your teeth and gums, the reality is that your oral health has a much bigger impact on your body than you might think. In recent years, a growing amount of research has found significant links between tooth decay and gum disease and a variety of chronic illnesses. Patients who experience tooth loss and severe gum disease have a much higher risk for developing a range of diseases that include heart disease, diabetes, and cancer. One disease that has shown a particularly strong relationship to a patient’s oral health is diabetes. In fact, a recently published study showed a potential link between oral hygiene and Type 2 diabetes. Considering that Type 2 diabetes accounts for roughly 90 percent of all cases of diabetes in the U.S., proof of this connection could provide an invaluable tool in helping patients better manage their diabetes. Conducted by researchers at the University of Buffalo, the study found that patients who practiced quality oral hygiene routines on a daily basis could improve how they manage their diabetes. As part of the study, researchers elected to examine the impact of non-surgical gum disease treatment on the blood sugar levels of patients who were diagnosed with Type 2 diabetes. While previous studies have already shown a link between gum disease and diabetes, limited data existed that examined how gum disease can affect diabetes patients. Ninety patients diagnosed with Type 2 diabetes participated in the study over a period of six months. During this trial time, participants received oral care while also actively working to improve their blood sugar control. Researchers also examined participants for certain types of oral bacteria previously linked to gum disease. Participants in the treatment group received oral hygiene instructions and non-surgical gum disease treatments using both ultrasonic and handheld instrumentation. Conversely, participants in the control group received only instruction on how to improve their daily oral hygiene routine. Researchers then examined and measured the participants’ current oral health, including plaque buildup, pocket depth, and gingival index at the beginning, middle, and conclusion of the study. Based on their finding, researchers discovered that non-surgical periodontal treatment resulted in improved blood sugar control for patients with Type 2 diabetes. The control group showed no measureable improvement in controlling their blood sugar levels. The results of this study therefore strongly suggest that oral health plays a significant role in helping patients manage their diabetes. What this and other similar studies continue to prove is just how important it is for patients to maintain and improve their oral health. While daily habits like brushing and flossing may seem like an inconvenient chore, they are proving invaluable at helping to improve patient health in a variety of important ways. Don’t let poor oral health ruin your overall health. Take the time and make the effort to focus on improving the health of your teeth and gums to enjoy the remarkable benefits a great looking smile can provide. 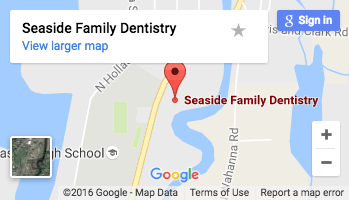 Contact our office today to schedule your next dental exam and cleaning with your local dentist in Seaside, Dr. Scott Santos.